The Path Rising... Entry Level Pricing With High Performance Pyramid Technology. 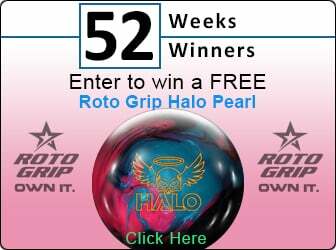 With ever-changing variables within the sport of bowling (e.g. 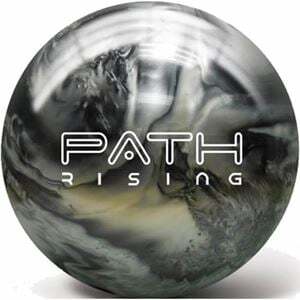 lane conditions, ball speed, rev rate), this technology allows any bowler, from stroker to two-handed, to achieve peak performance on medium to medium-dry conditions. Starting at the core of the ball, Pyramid Bowling offers a versatile ball motion in a lower price point - providing a good ball motion on a wide variety of lane conditions. The New Era 139 core offers a wide variety of drilling options, whether you drill the ball to go long and hook hard or drill the ball for strong roll and strong backend. The combination of the New Era 139 core and the Path Reactive Pearl coverstock gives a versatile ball motion for bowlers of all skill levels. Out of the box (OOB), the Path Rising is finished with a 1500-grit polish, offering a clean look through the heads and a sharp ball reaction down lane.